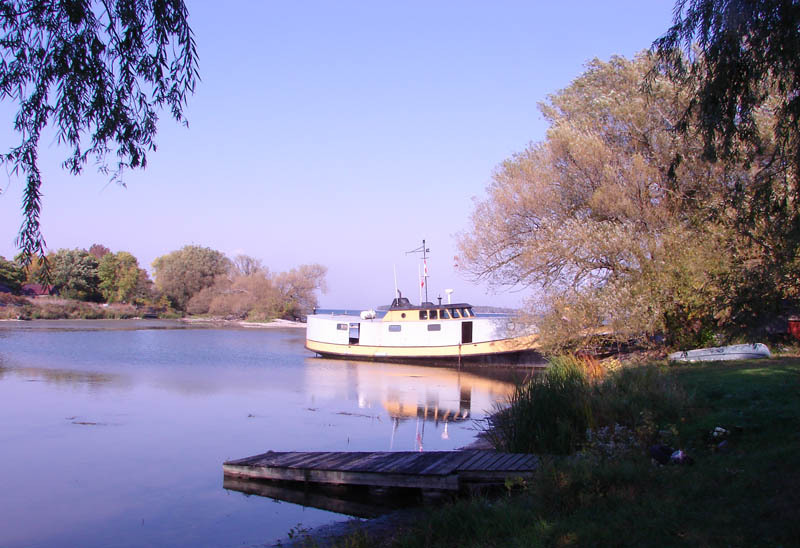 Long Point Harbour is at the extreme southeastern tip of the county, at the end of Prince Edward Point. 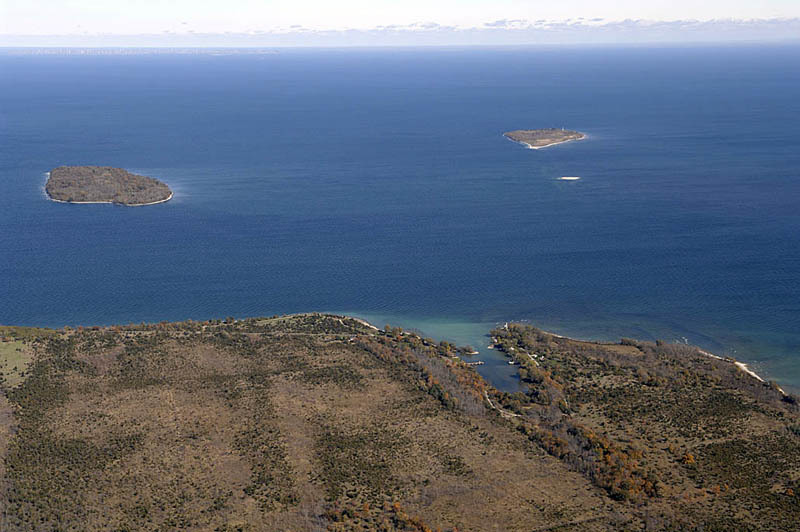 The False Duck Islands, Timber on the left and Swetman to the right, emerge from a ridge of shoals running across Lake Ontario. This view looks east towards Main Duck Island and Kingston. The little harbour was formed by wave erosion from a fault line or crack in the sedimentary bedrock. A lighthouse is also located on the point. A fishing boat in Long Point Harbour. 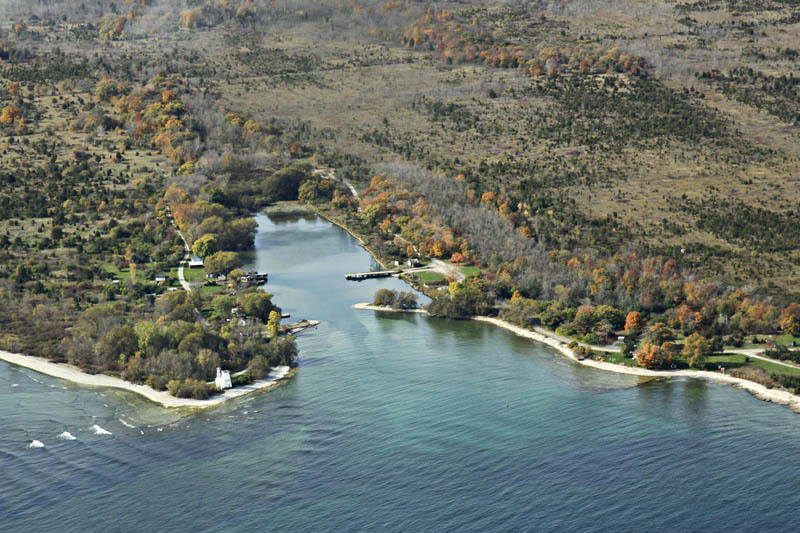 A view of Long Point Harbour and lighthouse. Photographer Joe Vanveenen stands on the smooth limestone rocks sloping into Lake Ontario at Long Point. 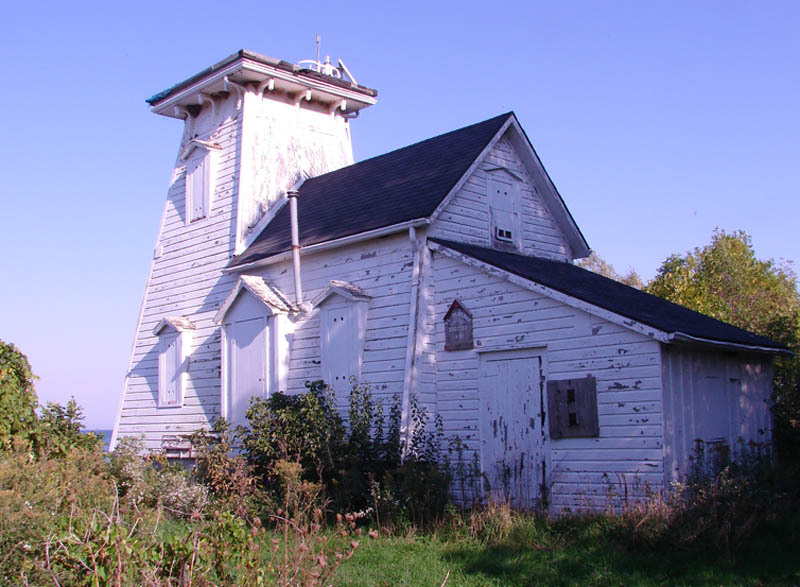 The old lighthouse at Long Point is peeling and rotting away among the undergrowth near Long Point Harbour. It has been replaced with a modern steel tower. 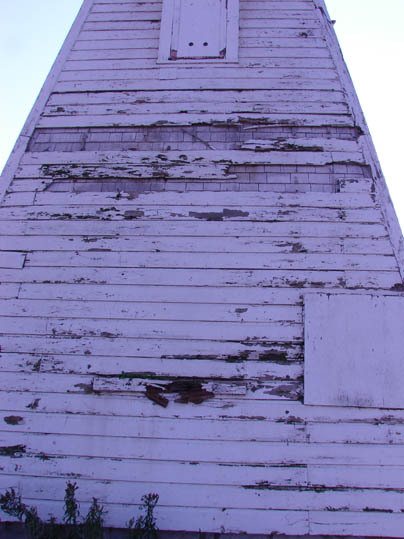 Rotted wooden siding is falling off the old lighthouse, showing a layer of shingles underneath.